Colonial Buganda was one of the most important and richly documented kingdoms in East Africa. In this book, Jonathon L. Earle offers the first global intellectual history of the Kingdom, using a series of case studies, interviews and previously inaccessible private archives to offer new insights concerning the multiple narratives used by intellectuals. Where previous studies on literacy in Africa have presupposed 'sacred' or 'secular' categories, Earle argues that activists blurred European epistemologies as they reworked colonial knowledge into vernacular debates about kingship and empire. Furthermore, by presenting Catholic, Muslim and Protestant histories and political perspectives in conversation with one another, he offers a nuanced picture of the religious and social environment. 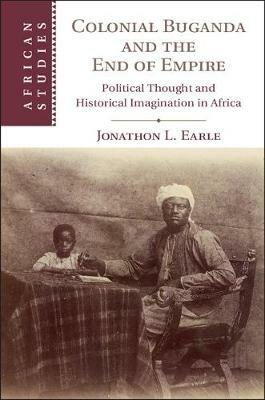 Through the lives, politics, and historical contexts of these African intellectuals, Earle presents an important argument about the end of empire, making the reader rethink the dynamics of political imagination and historical pluralism in the colonial and postcolonial state.